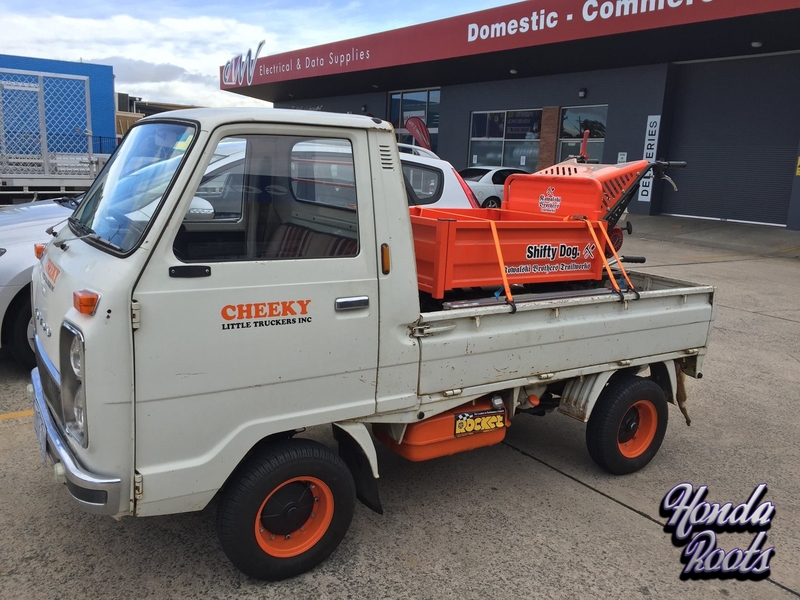 Basic Nippon knowledge, kei trucks are the perfect balance of simplicity and practicality that go hand-in-hand when the job gets tough. Meet Alan, a simplistic guy who seeks practical things during his normal weekly routines in Canberra. A business owner by morning, a bicyclist trail builder by evening, Alan knows a thing or two when he’s busy. 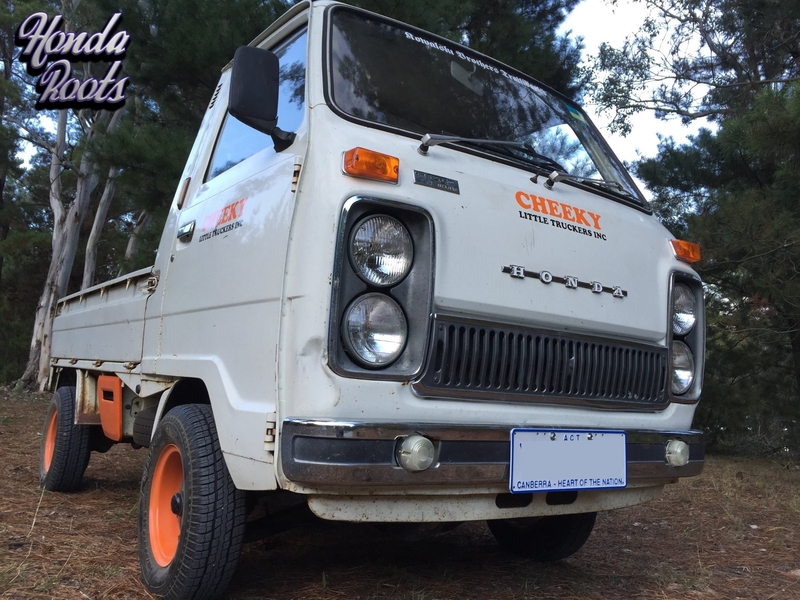 That’s probably why he chose to pick up this adorable and yet reliable ’74 Honda TNV 360 Deluxe kei truck. 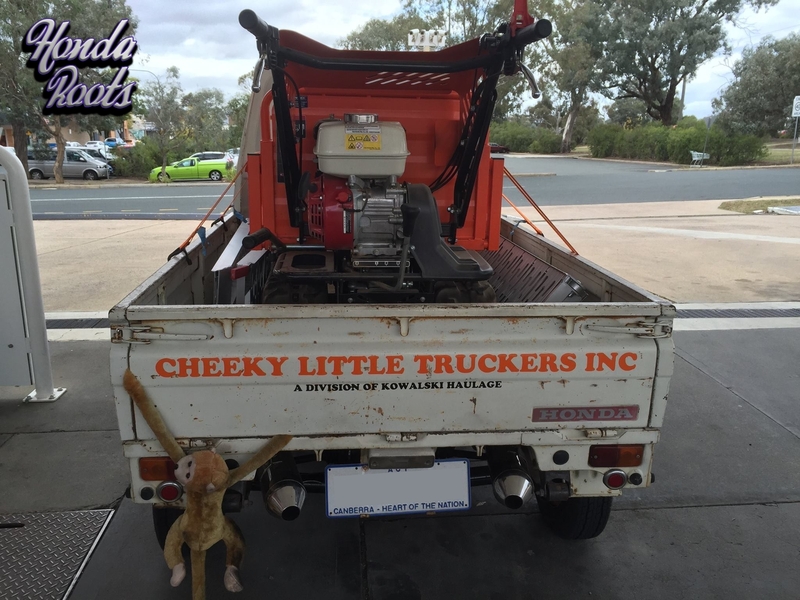 Tiny compared to today’s standards, these tough little pickups are still being used worldwide, exclusively now with small businesses or farm hillsides . 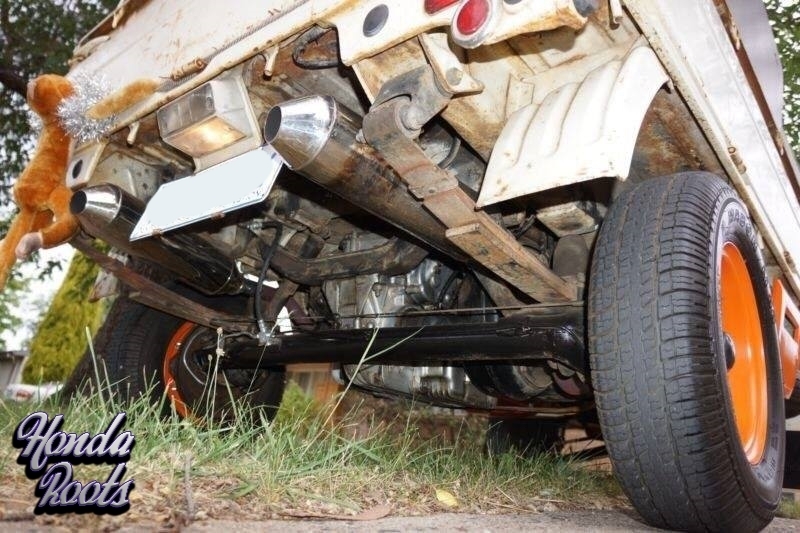 Introduced in ’63, the original Honda T360 was the 356cc DOHC, rear-wheel drive brain child from Soichiro Honda & Takeo Fujisawa during the S360 debate. 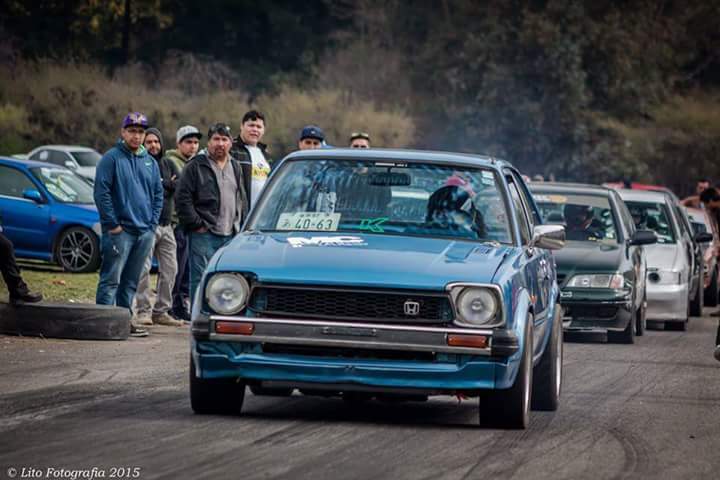 Sports car or truck, what did the masses want? 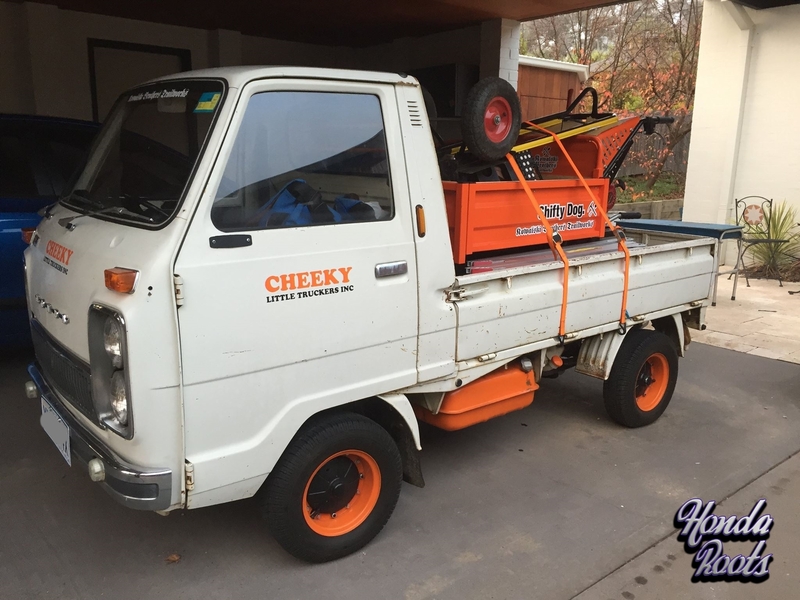 None the less, the T360 and T500 variants became extremely popular with local Japanese business owners and farmers alike and four years later, Honda evolved the T series into the TN series. With a model refresh being released to keep up with the brand recognition every 2-3 years, the TN-V variant debuted in 1972 with an all new big grille, quad headlight fascia, revised engine setup and a more modern interior. It’s power suffered due to the lower compression with emission standards, but the truck gave a bigger impression on the road, becoming the bigger brother with Honda’s other models. Weekly, the truck gets out with Alan and his volunteer group to help build trails around the capitol mountainside where the TN is pulling the tools and helping the guys dig up their projected routes. 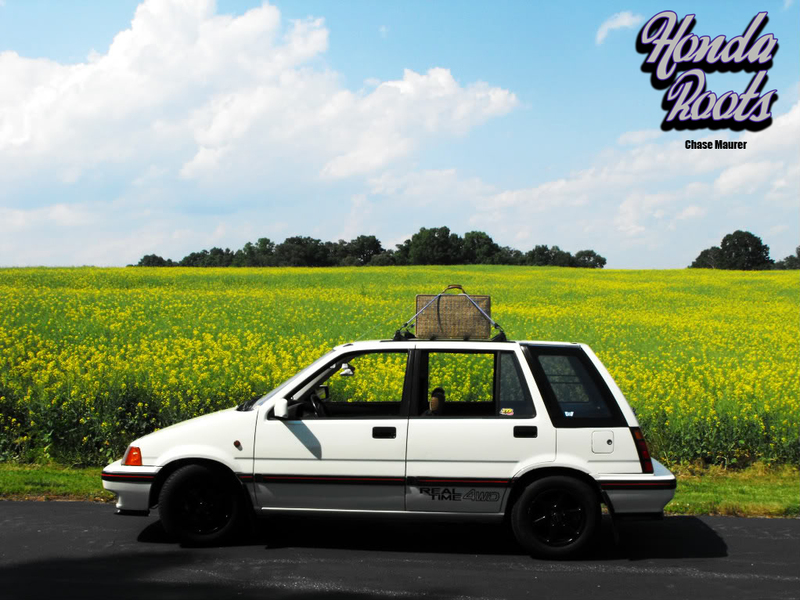 During his travels, the Honda gets plenty of attention and Alan decided to make up a fictional name to display they have a fun side to their hard work. 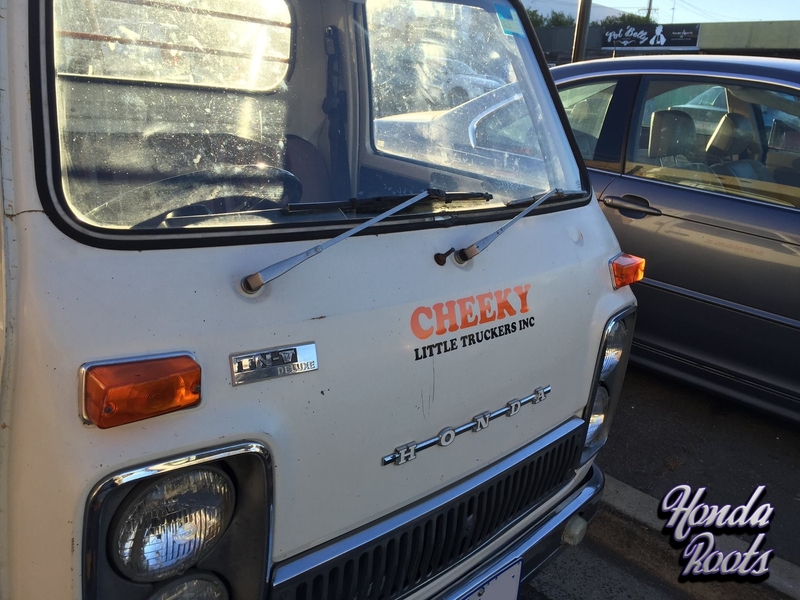 “Cheeky Little Truckers Inc”, a name that both evokes hilarious questions and yet looks surreal when parked next to a store front. The humor doesn’t stop when you look at their other equipment too. 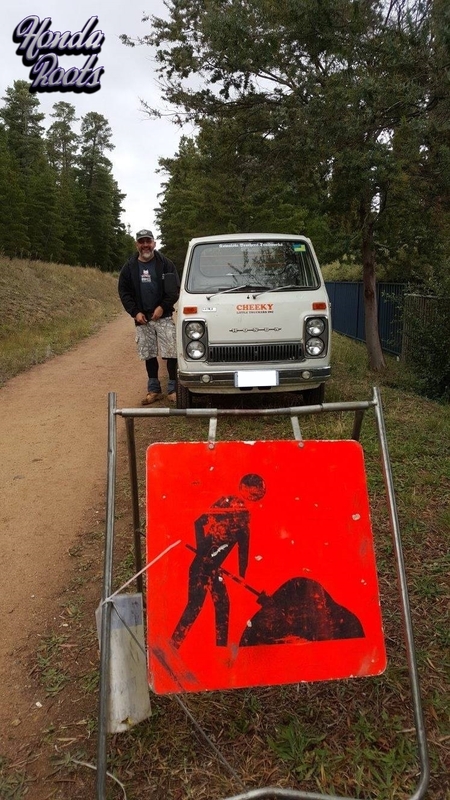 Q: First off, thank you for taking the time out of your schedule to share with us your 1974 TNV 360 Deluxe work truck. Can you tell us a little more about yourself and what you do? A: I’m a 52 year old guy who has lived in Canberra, Australia his whole life. I am married, have 2 children and have been into cycling since forever. Fortunately for me I work in the industry running a couple of bicycle related businesses. The first is Frameskin Bike Protection Film – I design and manufactured custom-shaped frame protection for bikes and sell online both domestically and internationally. The second is Self Propelled Enterprises (an event management company) and we run mountain bike races. 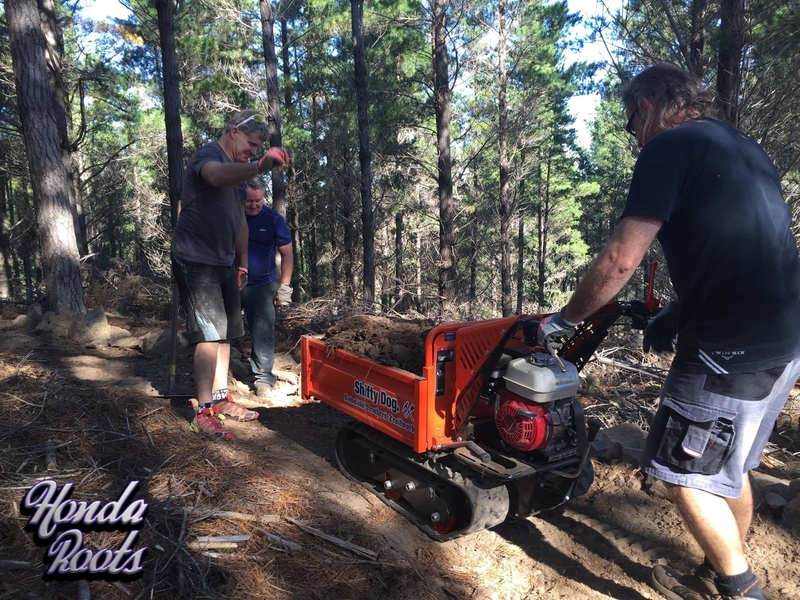 In my spare time, I coordinate the activities of the Kowalski Brothers Trailworks – a volunteer trail building movement. 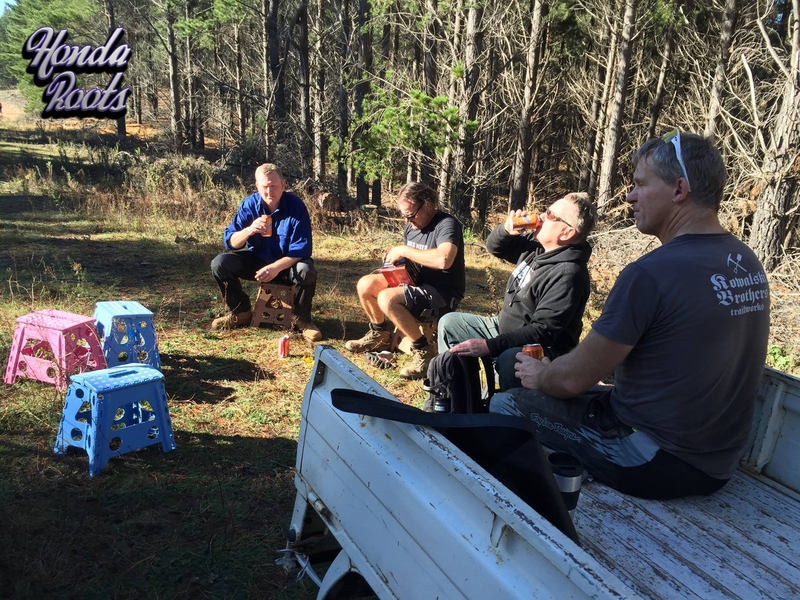 We have been building mountain bike trails in the Canberra region for about 25 years. 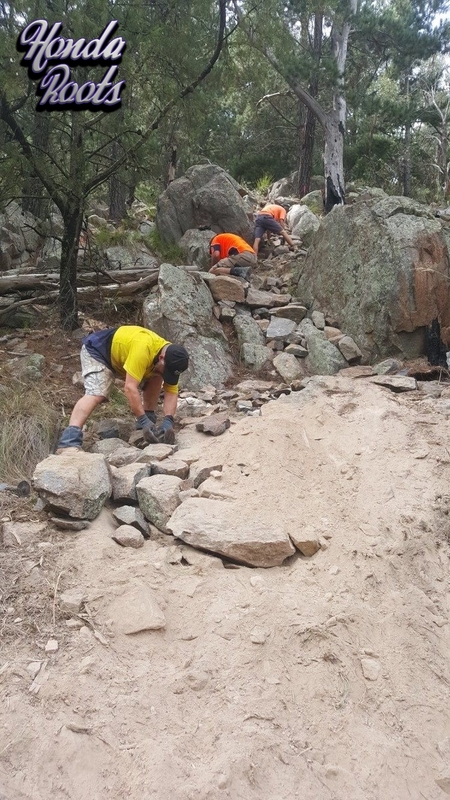 Trail building has developed into a bit of a obsession so I tend to build trail a couple of days a week (one day on the weekend and one mid-week). 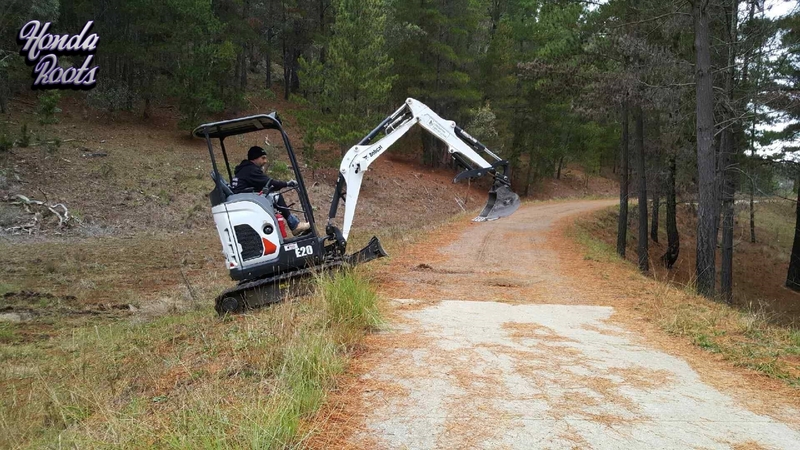 About once a year I contract to commercial trail firms on local projects that interest me. It is for trail building fun that the Honda was purchased. 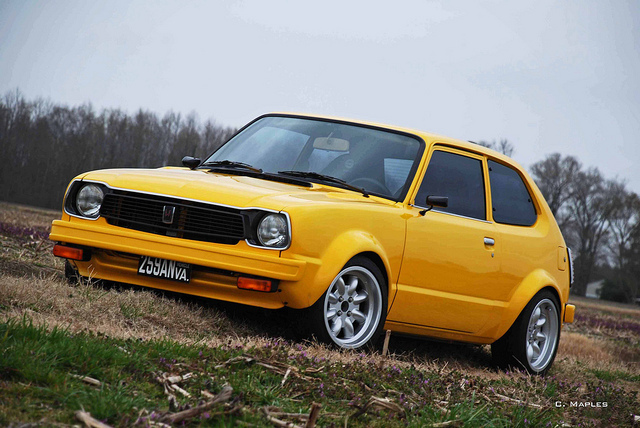 Q: How did you discover the Honda? Q: It’s rare to see a Honda TNV 360 on the road being used daily. Do you get questioned about it while out? A: Hell yeah! I get questions, comments, thumbs up and smiling faces every time I am on the road! 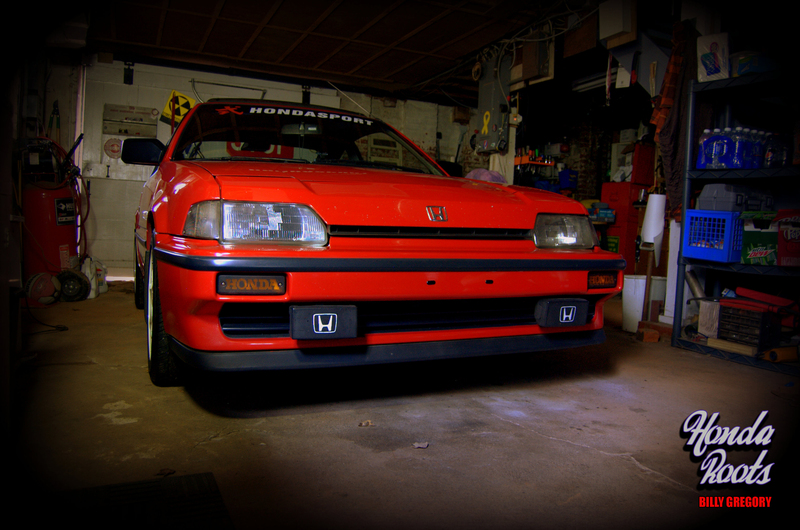 I’ve never had a car that gets this sort of attention before, so it has been a real surprise for me. Everyone is genuinely surprised to see something so small on the road I guess and they are very curious about it. A: Just on 10 weeks now. 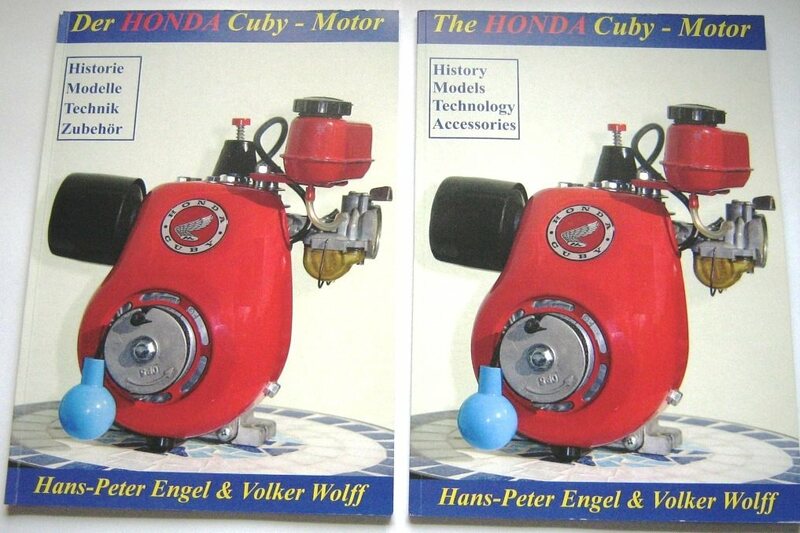 Q: The two-cylinder 354 cc engine is by no means a power-house, does it do decent on the job? A: Well, she’s a slow boat going up hills no question, so I’ve taken to driving on the shoulder of the road when I am on the highway to let the cars travelling at normal speed get by. I also have to leave about 20 minutes earlier than before to be sure I get there on time. Q: Excessive mileage on the odometer? A: The speedo reads 97,265km presently – There’s no way to know how many times she’s gone around. 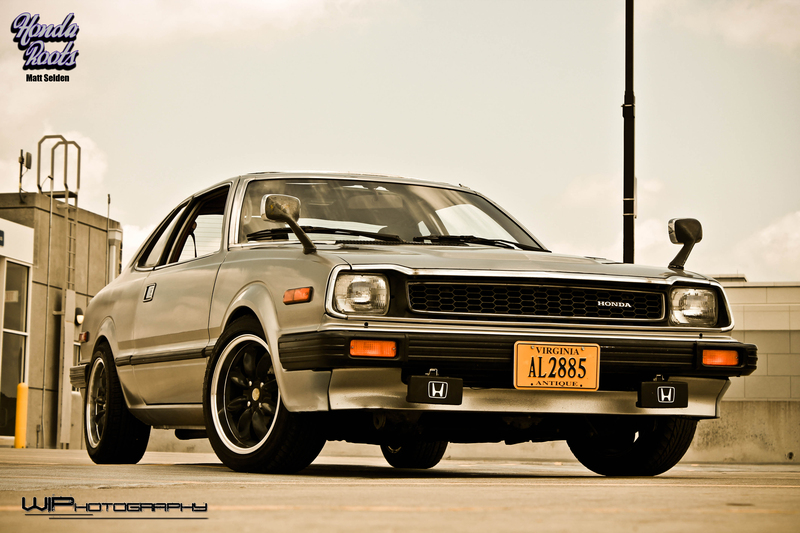 Q: Future plans for you or the Honda? 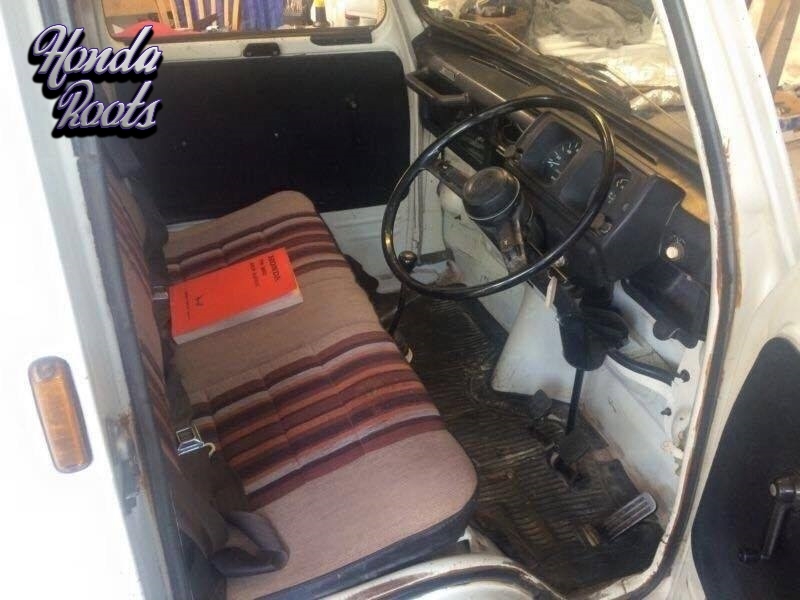 A: I’ll need to get a bigger ute in the future as I can only get about half the hand tools on the Honda and leave the other motorised tools at home. In the meantime, I am having fun pootling about town in Cheeky and enjoying the attention it receives. It is an absolute gas! 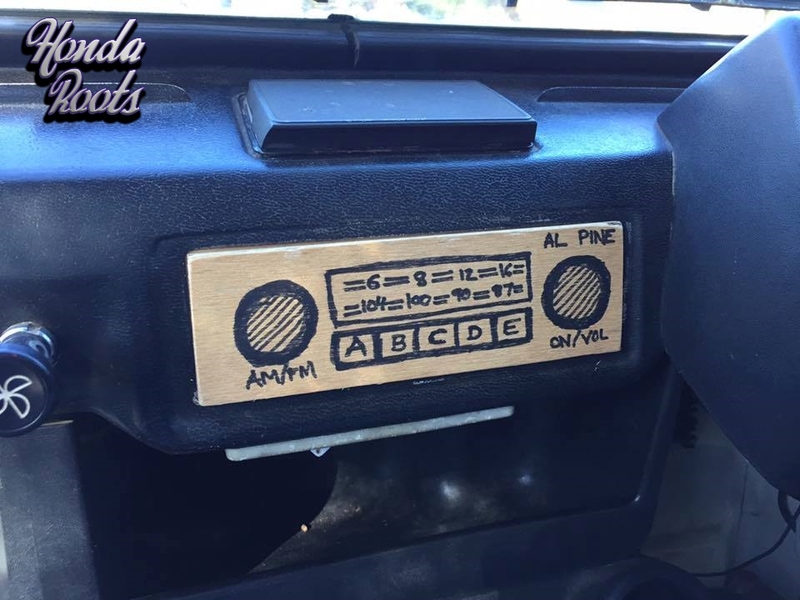 Q: Any modifications done to the truck since you bought it? 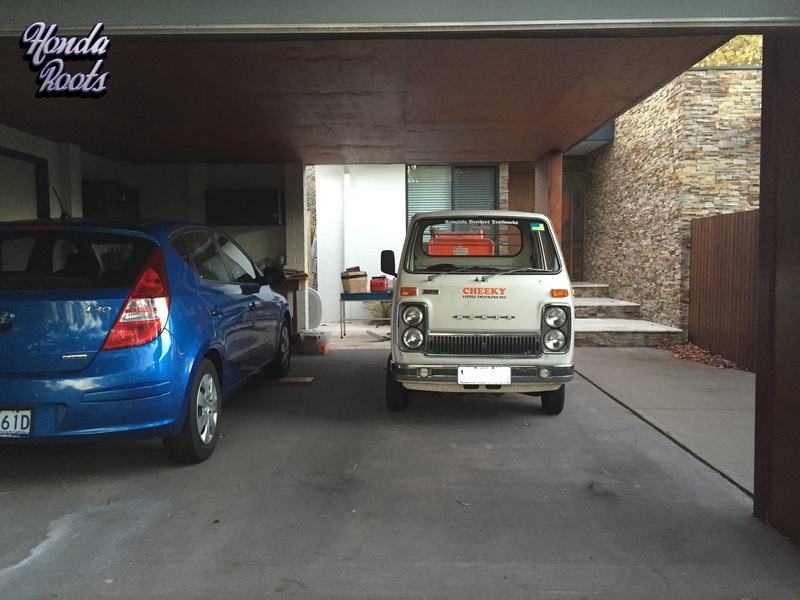 Q: Any Honda’s owned previously before the ute? 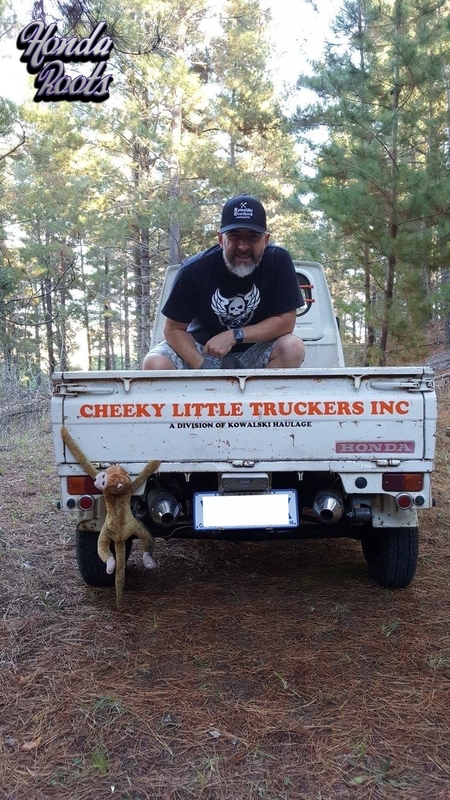 Q: We’ve gotta ask, what is the full monty behind “Cheeky Little Truckers Inc.”? 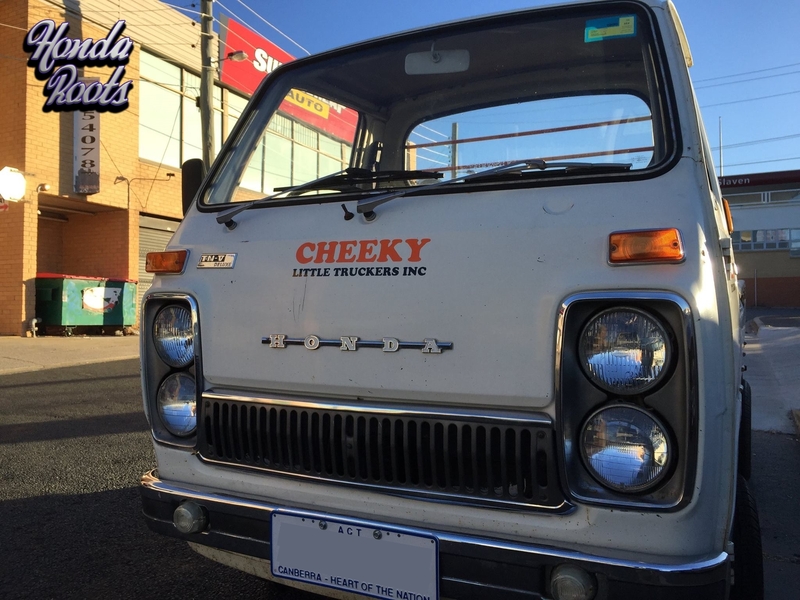 A: Cheeky Little Truckers is a fictional company name I came up with. 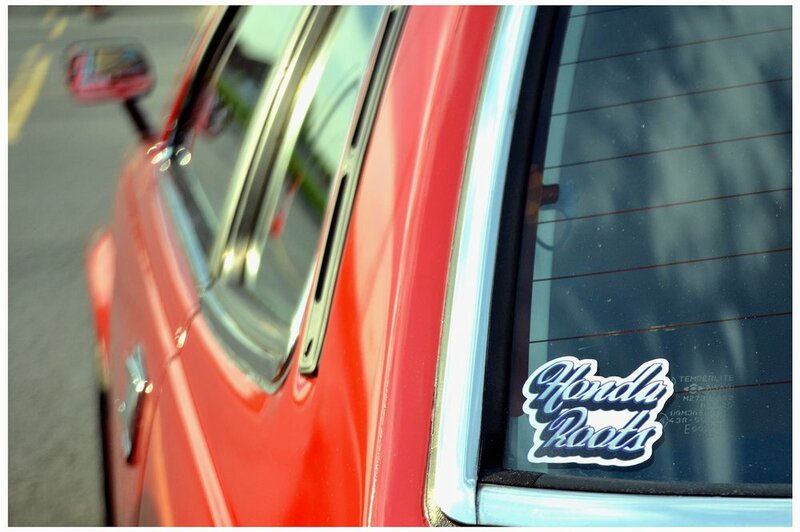 I wanted give a little personality to the vehicle.